A massive trove of undelivered mail seized by British warships offers a rare glimpse into the lives of "ordinary men, women and children," says Dagmar Freist, director of the Prize Papers project. "You can imagine the excitement being confronted with such a treasure," said historian Dagmar Freist, director of the Prized Papers project, which aims to digitize the entire collection. "These letters have not been filtered, they have not been censored, nothing has been thrown away. Quite a few have not been opened." Freist told As It Happens host Carol Off on Tuesday that her team is diligently working to sort through the mail, originally kept for martial court records and stored in the Tower of London until 1850, when they were moved to the Public Record Office in London, and later the National Archives. "Some of this mail is more than three centuries years old, and it's from all over the world," Freist said. 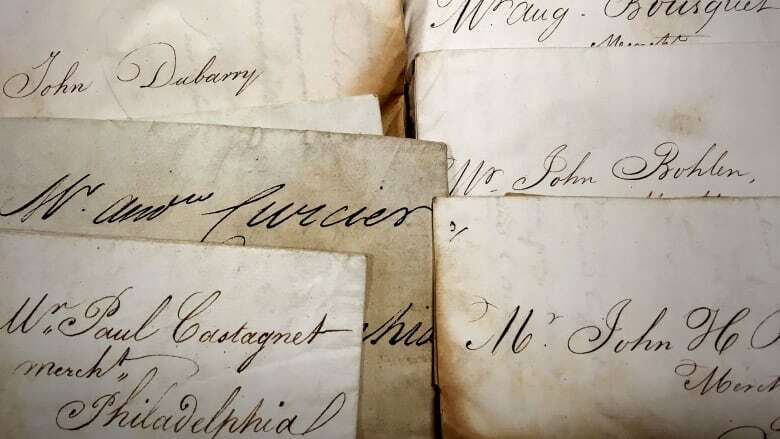 The documents shed new light on world history, with detailed ship logs of climate conditions, cartography, trade ledgers and correspondence about major events, including colonialism and the American and French Revolutionary wars. There are records from the slave trade, listing the names of enslaved people, their costs, and what slave owners paid for them. But what fascinates Freist the most are the personal letters between ordinary folks — a part of history she says is often overshadowed in favour of stories about powerful people. "I think we will have a new perspective on history, which has been defined as a so-called colonial history or history of empire building," she said. "With this material, we will be able to lend a voice to people of whom we usually don't have any evidence, especially in a colonial context, like ordinary men, women and children." 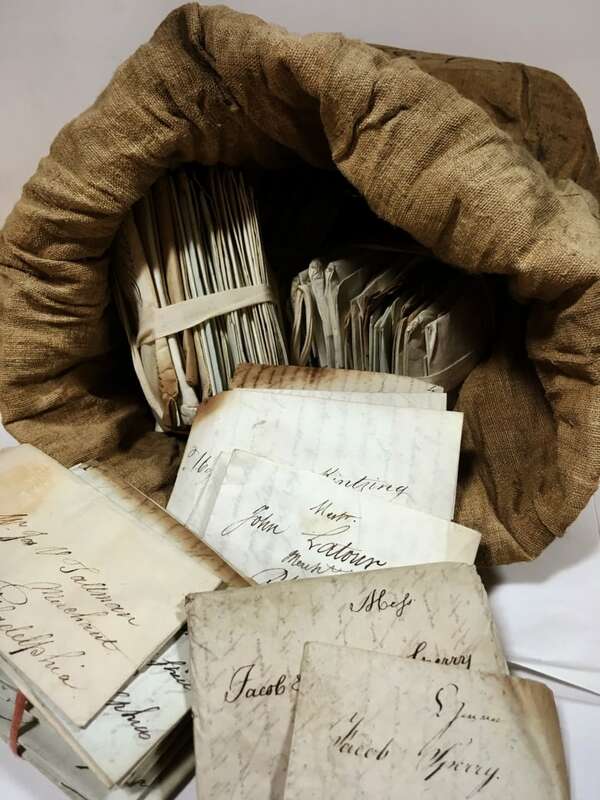 Among the discoveries is a 1765 letter from a woman named Elizabeth Sprigs, an indentured servant in Maryland writing to her father at home in England. "She is very, very poor. She doesn't even have anything to wear," Freist said. "She apologizes to her father that she would approach him, apologizing for whatever she might have done wrong in the past, and she's desperate and she asks him that he would send her some clothes because all she has is a blanket and the food she gets." But, of course, her father never got the letter and it's not known what became of Sprigs. "These letters are full of the hazards of the flu epidemic and chicken pox in Quebec and her tone gets more and more desperate, because she doesn't get any sign of life from her husband," Freist said. "She feels utterly neglected and resented and finally decides not to write anymore. In the letter she says: 'You can't love me anymore if you don't answer. I will now stop writing. I give up.' But then she writes again and she implores her husband once again to come back." Freist said people understood that letters could become lost at sea, and would often make contingency plans. "They commented again and again on their letters, 'In case you don't receive this, I will send another one in two weeks time.' Or they sent off four letters of the same kind on four different ships," she said. Sorting and digitizing all the mail is expected to take 20 years at a cost of 9.3 million Euros ($14 million Cdn). 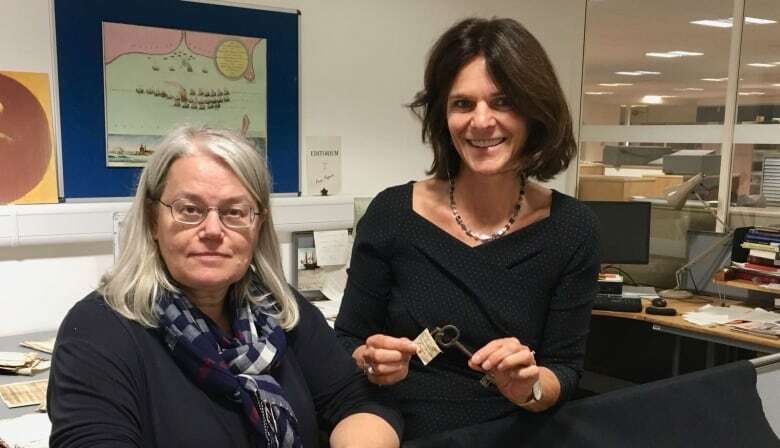 The project is funded by the Union of the German Academies of Sciences and Humanities and the work is being done in partnership with the German Historical Institute London and the National Archives in London. Written by Sheena Goodyear. Produced by Sarah Cooper.